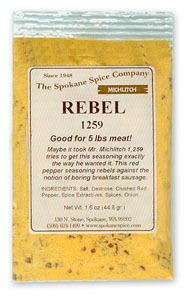 Rebel 1259 is a taste with a red pepper seasoning that rebels against the notion of boring breakfast sausage. 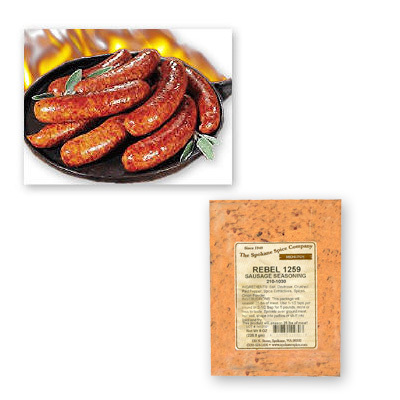 The same blend as our Yankee seasoning only with plenty of red pepper flakes added. This package seasons 5 pounds of meat.